More than 20,000 people have celebrated the summer solstice at Stonehenge ahead of a "historic moment" in the £27 million transformation of the site. The huge gathering of people marked the event in a "positive, friendly atmosphere" as they waited for the sun to come up, but cloudy skies prevented them from basking in a beautiful sunrise. Crowds gather at dawn amongst the stones at Stonehenge in Wiltshire for the Summer SolsticeThis year there have been a lower number of arrests compared with previous years, with 22 taken into custody mainly in relation to drugs offences, police said. Superintendent Matt Pullen from Wiltshire Police said: "Solstice 2013 has been a great success with approximately 21,000 people celebrating in the positive, friendly atmosphere as they waited for sunrise. "The weather held but unfortunately the cloud cover was too dense to see the sun come up." He added: "The majority of people respected the conditions of entry and the amnesty bins provided were used. Approximately 70 cannabis street warnings were issued. As with previous years, the passive drugs dogs proved very effective. The success of the event depends largely on the good nature of those attending and we are pleased that people could enjoy solstice in the spirit of the event. 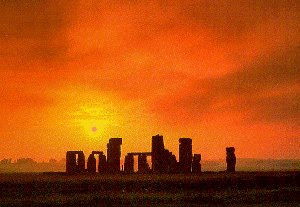 Wiltshire Police worked closely with partners and in particular English Heritage to ensure that everyone had a safe and happy solstice." A section of the road running alongside the neolithic monument will be permanently closed on Monday June 24 as part of a long-awaited refurbishment of the World Heritage Site. The closure and grassing over of the A344 will reconnect Stonehenge with the landscape, allowing visitors to walk between the stone circle and the prehistoric avenue from which people would have once approached the monument. It is part of works which include the creation of a new visitor centre around 1.5 miles away from the monument, with a cafe, shop and museum showing artefacts and exploring theories about Stonehenge, as well as three replica neolithic houses. Loraine Knowles, Stonehenge director at English Heritage, said the closure of the road was "a real milestone in terms of the history of the site". She said that although Stonehenge never failed to impress visitors, the setting of the stones had marred people's appreciation and enjoyment of the site. English Heritage had wanted to close the road since it was nominated as a World Heritage site and inscribed in 1986, she said. "It really is a historic moment," she added. In the first stage, the road immediately adjacent to the stones will be closed, and work will begin to remove tarmac and grass it over. Once the visitor centre currently under construction opens in December, a longer section of the A344 between Stonehenge and the new facilities will be shut to traffic and become the route for visitors walking or travelling by shuttle to the stones. The cramped existing car parking and visitor facilities, first built in 1968, next to the monument will be removed and the area returned to grass. 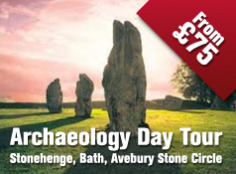 Knowles said: "When you are in Stonehenge in the future, when grass is established, you will be able to make the link between the monument and the rest of the heritage landscape to the north, accessing the avenue, the route by which the monument was approached when it was used as a place of great ceremony." Closing the road was "absolutely fundamental to all the improvements we're making to the setting of the monument and all the improvements we are making to the visitor experience ", she said. The site gets more than one million visitors a year. Barb and Rick Oddy, from Vancouver, Canada, visiting on a coach tour just before the solstice, agreed that closing the road to link up the landscape was a good thing. Oddy said of the monument: "It's amazing. I can't decide which theory I believe and I think it's amazing how they (the stones) got here from Wales." 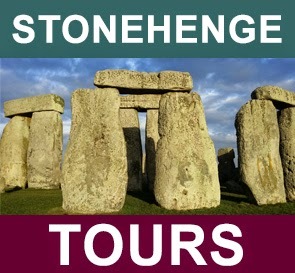 But concerns have been raised that the changes to the site will adversely affect coach tours, which come to Stonehenge as one of a series of destinations, with suggestions operators may bypass the site because of the extra time involved in transferring groups from a more distant visitor centre by shuttle to the monument. The busy A303, which runs on the other side of Stonehenge, will remain as plans to put the road into a tunnel proved too expensive. The refurbishment was due to be finished in time for the London Olympics, but was delayed as a result of Government cuts which left English Heritage seeking to fill a £10 million funding gap. It was met by an increased grant from the Heritage Lottery Fund and other sources.